1/27 UPDATE: Emily Blunt (“A Quiet Place”) becomes one of just a few people to be a SAG individual film acting winner and not receive an Oscar nomination. Her win is easily a highlight of the night. 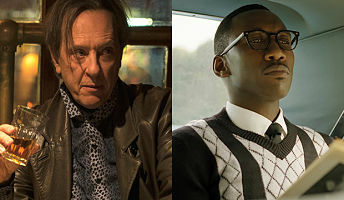 Mahershala Ali (“Green Book”) solidifies his chances for a 2nd Supporting Actor Oscar in just 3 years. Rami Malek (“Bohemian Rhapsody”) and Glenn Close (“The Wife”) are officially Academy Awards favorites. And “Black Panther” takes home the Acting Ensemble AND Stunt Ensemble trophies, solidifying itself in the Best Picture race. “A Star Is Born”, which led SAG noms, went 0-4. This is the time for someone to make their move if we want a Supporting Actor showdown heading into Oscar night. Grant has the best chance of beating Ali. Sam Elliott (“A Star Is Born”) is next in line, then Adam Driver (“BlacKkKlansman”). Timothee Chalamet, snubbed by the Academy, is just happy to be in the group. The tens of thousands of SAG-AFTRA members vote for both the film and television categories, regardless of whether you’re more involved in one or the other. Amy Adams has two nominations – this “Vice” recognition and a nom for her HBO miniseries “Sharp Objects”. Some people could vote for Adams for “Objects” AND “Vice”, JUST “Vice”, JUST “Objects” – or neither. But while Adams is the clear frontrunner (because “If Beale Street Could Talk”’s Regina King shockingly missed the cut here), she’s not a lock to win. Either of the ladies of “The Favourite”, Emma Stone and Rachel Weisz, are the logical next choice. They’ve both been consistently nominated in the category this awards season – including for the Oscar. But the votes could easily split between them. Margot Robbie was SAG nominated last year for “I, Tonya” – and her performance in “Mary Queen of Scots” is also up for the BAFTA. However, the film hasn’t been a huge play at the box office and throughout awards season. So I just don’t see a win for her. That leaves us with Emily Blunt. Like Adams, she’s a double nominee. But while I’d love to see her win Best Actress for “Mary Poppins Returns”, that seems like a longshot at best. Blunt was snubbed by the Oscars for both her work as Poppins and in “A Quiet Place”. 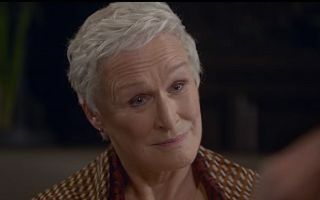 Four days of SAG Nominations have followed the Oscar nominations, and some may feel she should be recognized for at least one of her two performances. I’m tempted to go with Blunt as my official pick. Adams just seems more likely. If neither of these two (who co-starred in the indie “Sunshine Cleaning”) are up on stage, I’ll be very surprised. I still think Malek has momentum and is able to rise above “Bohemian Rhapsody”’s many controversies. Christian Bale (“Vice”) is an easy next choice. But like Blunt, Bradley Cooper could benefit from his Oscar snub. Yes, he’s up for the Best Actor Academy Award, but most predicted he would also be a shoe-in for a Best Director nom, which didn’t happen. Close seems like the kind of winner SAG loves: she’s paid her dues for so long and is finally getting the recognition she deserves. But a large portion of the voters could sway towards Gaga. A surprise win for fellow Oscar nominees Olivia Colman (“The Favourite”), Melissa McCarthy (“Can You Ever Forgive Me?”) will just make this year’s Best Actress race even more interesting. “Crazy Rich Asians” has no shot. “BlacKkKlansman” is kind of the middle. Best Picture Oscar contenders “Green Book”, “Roma” and “The Favourite” aren’t even nominated. So it’s down to the two music-heavy films. “Bohemian Rhapsody” will shock people just like it did by winning the Best Drama Golden Globe. “A Star Is Born” is the safe, but well-deserved, top prize choice.